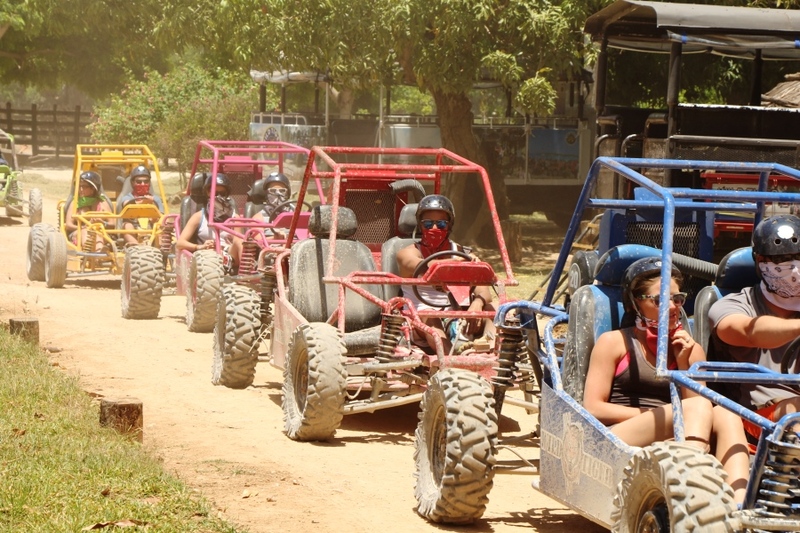 The Buggies Experience - Get ready to get dirty! Our tour begins with the gathering of guests at the hotel, after the last hotel pick up it takes about 20 to 25 minutes to reach our ranch. 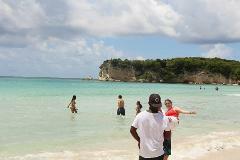 At the ranch guests receive information on health & safety and how to drive the Quads or Buggies. 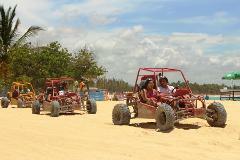 Our Buggies are designed and built to have a blast as you zoom through small villages in the Dominican countryside. Once the guests get their helmets and seat belt fitted the fun begins! We visit an organic Co Op farm where our guides will give you valuable information about coconut oil, tobacco, rum, coffee, chocolate and our world famous chocolate tea. 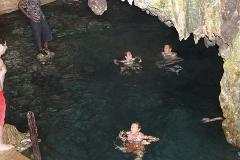 We also stop at a private Indian cave with a crystal clear natural spring for a rejuvenating swim. Not suitable for guests with problems in the back. Children accompanying their parents must be a minimum of 6 years old. To drive a boogie you must be at least 18 years old. 3 turns / 7 days a week (holidays will be advised with anticipation).